Budget hotel with pool near the University of Florida. Smile: you will save money at our Howard Johnson Express Inn Gainesville hotel near the University of Florida and Gainesville Raceway! Access the city's best sights and attractions from your Gainesville hotel or motel. 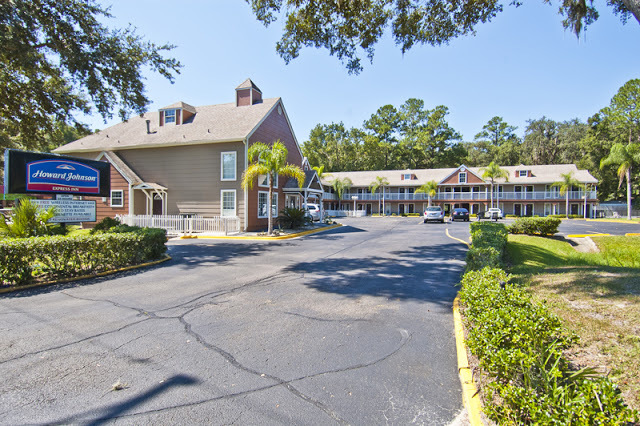 Choose our chalet-style hotel, conveniently located off Interstate 75. Wake up to free Rise & Dine continental breakfast, then get connected with free Wi-Fi Internet access. Go for a swim in our seasonal outdoor pool or enjoy a game of volleyball on our sports court. Pack a snack using your in-room refrigerator and microwave. We offer free large-vehicle parking at our hotel in Gainesville.